Images from a variety of Indian cities reveal a rich pattern of chaos, energy and resources, both human and natural. It’s seemingly impossible as an outsider to understand what each cultural element signifies or how the pieces are really woven together. On the most basic level, people are people everywhere but India’s may just be amongst the world’s most fashionable, diverse, and resilient. A couple of weeks with a healthy dose of curiosity, appetite, and a bit of flexibility left me wanting to return for a deeper dive in to better see how it all fits together. 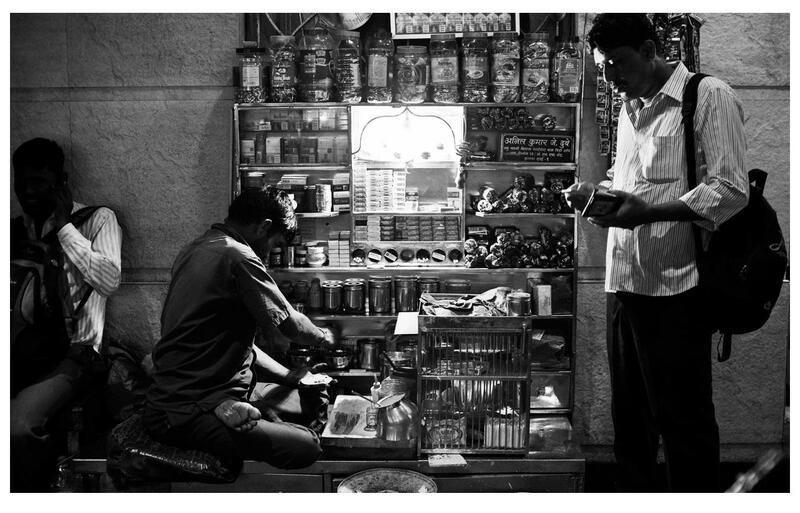 Streetside vendors sell seemingly everything at almost all hours of the day in Mumbai. This particular dutifully-managed cart offers a variety of tobbacco products and late-night snacks. Laboreous and dangerous construction techniques are common throughout India. These men are excavating a large foundation area using hand tools and buckets. Much of modern India lives off the grid. 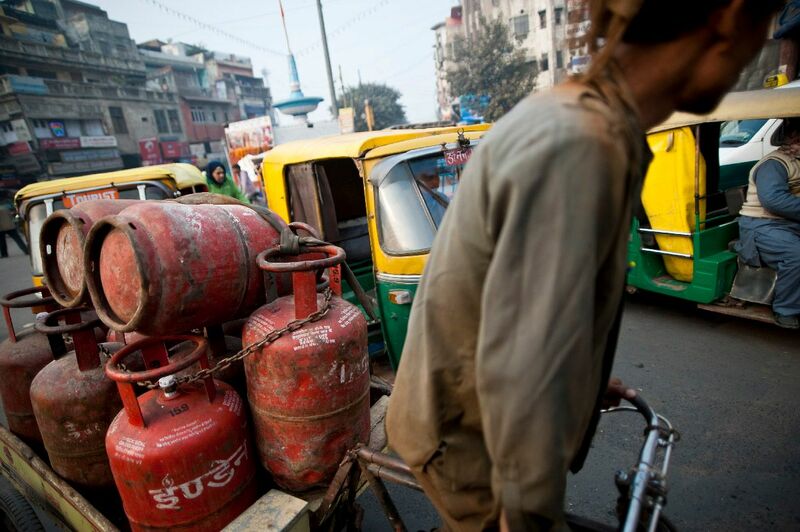 These gas tanks are being transported by a cycle rickshaw in New Delhi. Two friends enjoy an evening of tall tales and drinks at a Bangalore house party. Pollution is a serious issue in modern India directly impacting human health via drinking water. 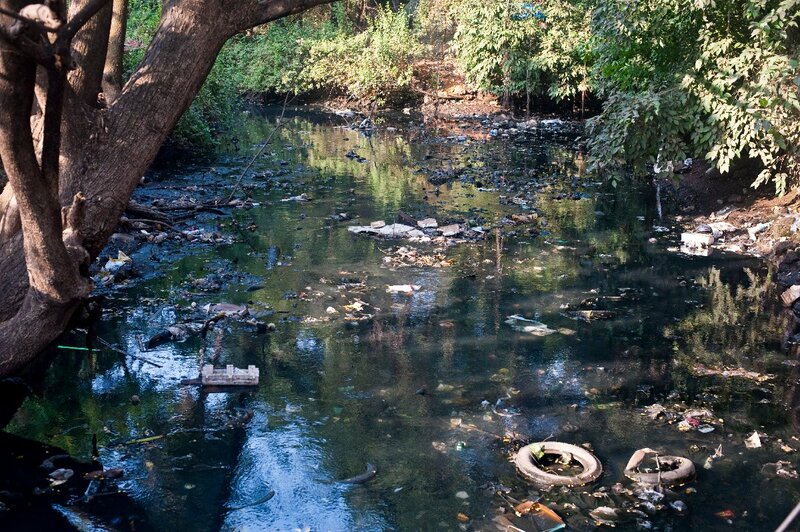 This river in Goa is littered with tires, bottles and the distinct sheen of motor oil. 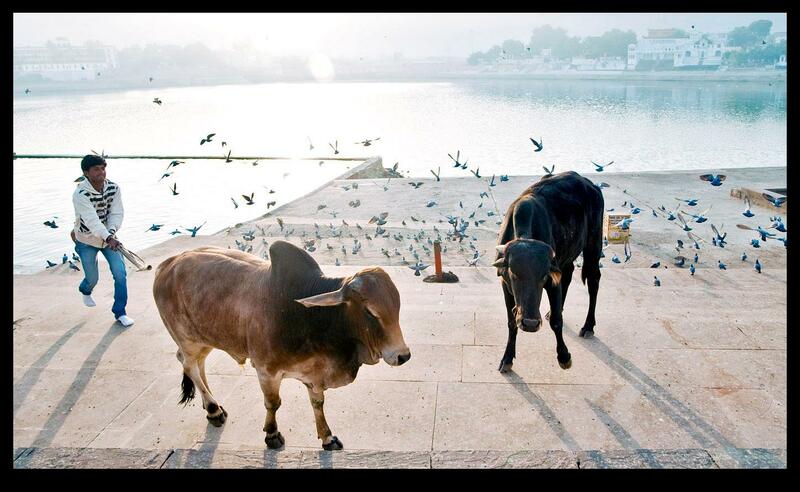 A man shoos cattle by the holy bathing waters of Pushkar Lake in Rajasthan. 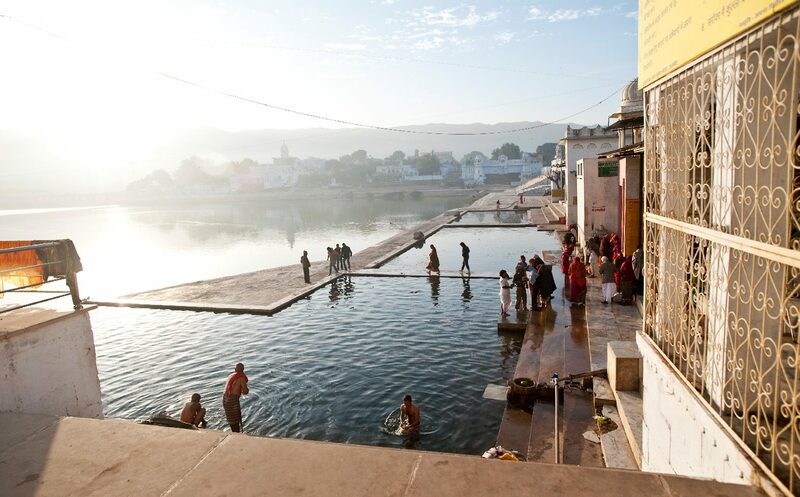 Hindus dip into the sacred waters of Pushkar Lake early on a chilly winter morning. Pedestrians animate a street in India’s largest city, Mumbai. Over 20 million people call this intense city home. 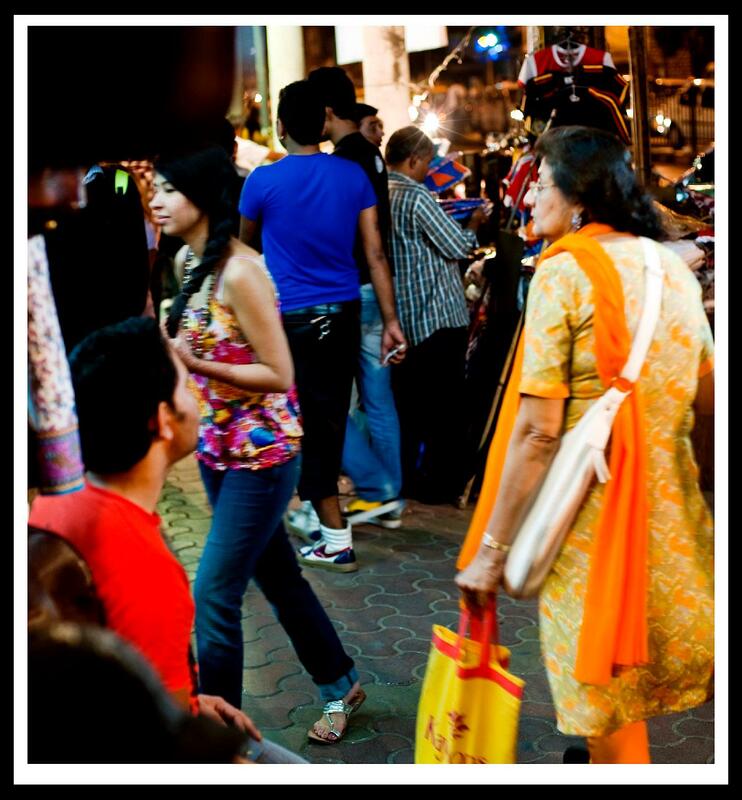 Evening shoppers criss-cross the street in Mumbai. 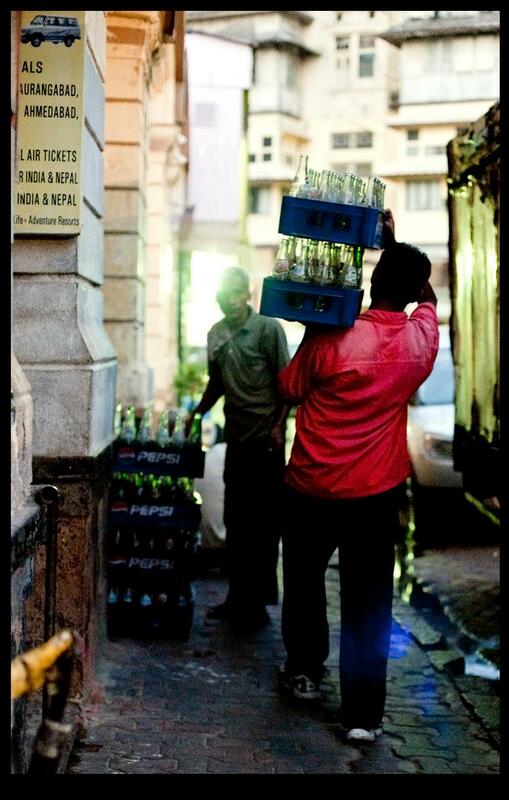 Vintage glass Coke bottles warrant recycling in Mumbai. Infosys’ high-tech Mysore training campus is said to be the largest corporate training campus in the world. It features a multitude of restaurants and coffee shops like this one to serve up to 15,000 trainees at all hours of the day. 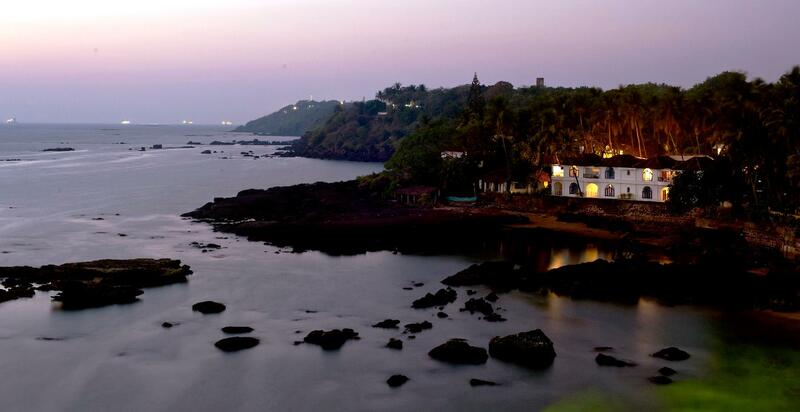 Dusk falls on a beachside Portuguese-style resort in Goa. Tourism and seafood drive the thriving local economy of India’s smallest state. lifetime’s worth of images, stories and abiding curiosity.